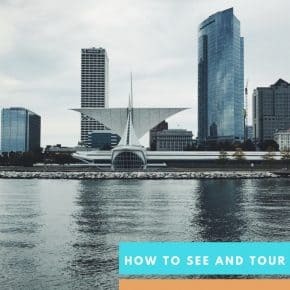 It’s no secret I love Milwaukee – just take a peek at the ‘Travel‘ section of my site and you’ll see half the stories are Milwaukee themed . When I moved to the area in 2010, I immediately felt a sense of home. 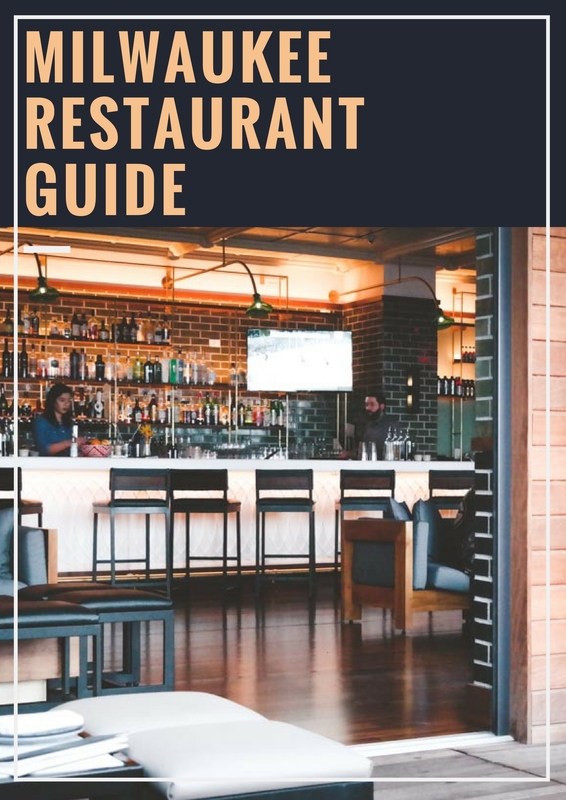 The food scene in Milwaukee is amazing, and the question I get asked most is “where should I go to eat?” So today I’m sharing the best Milwaukee restaurants guide with you. This will be an evolving list, and if you come across something special not included on the list, please leave me a comment below the post- I love checking out new places. 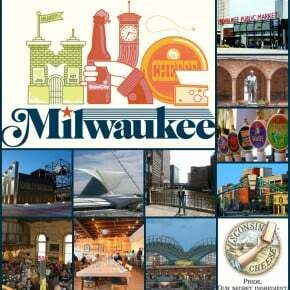 This Milwaukee restaurants list is a long time in the making. Starting back in 2011, my husband and I started doing “sibling dinner” where once a month we go to a restaurant with his siblings (he has two sisters, one brother in law) and we go somewhere no one has ever been. My husband had a crazy spreadsheet which included rankings and ratings, but everyone’s tastes are so different, and some places we went before the list or even after the list which have closed wouldn’t be relevant to include on the best Milwaukee Restaurants guide, so that is why the spreadsheet isn’t included in this list. These restaurants are places we love to go. I get a lot of inspiration for recipes from restaurants, so if I’ve created something based on a restaurant, I’ll link to it. The list is in alphabetical order by section. If there’s a place that great for brunch and dinner, I’ll note that, and I’ll note if there’s something special I order. Black Sheep – What I love most about Black Sheep is that we’ve always been able to get a table, and the food is good. The portions are HUGE, and the drinks are strong, an overall great brunch spot, they have a range of healthy and indulgent options too. They also have a dinner menu. Cafe Baveria – Serving German inspired dishes, they have a great brunch and dinner menu, their beer list is also very extensive. 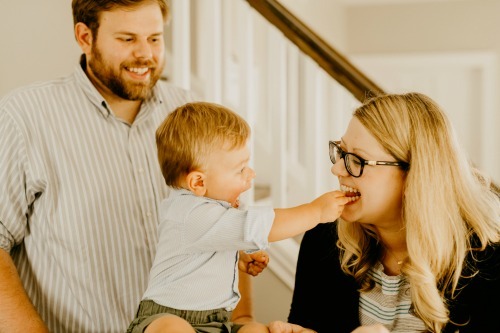 This restaurant is in Wauwatosa (I did a guide for what to do in Wauwatosa with a baby). Here’s what I order the Pretzel Benedict for brunch, The Wurst Dish for dinner (definitely share with someone). HoneyPie – Great local Midwestern themed diner. They serve a great brunch and dinner (recently went for dinner and it exceeded expectations, it was so good). Here’s what I order: whatever you do, you have to get the Breakfast Casserole, all your favorite breakfasts in a casserole, SO GOOD, and leave room for dessert, finish your meal with a slice of their incredible pies! Located in Bay View. Palomino – In Bay View, great brunch and cocktails, they also have a dinner menu. Here’s what I order: the chicken and waffles is super tasty. I’ve also taken a pie class from Honey Pie which was done at Palomino, which was totally awesome. I believe Honey Pie and Palomino have the same owner. 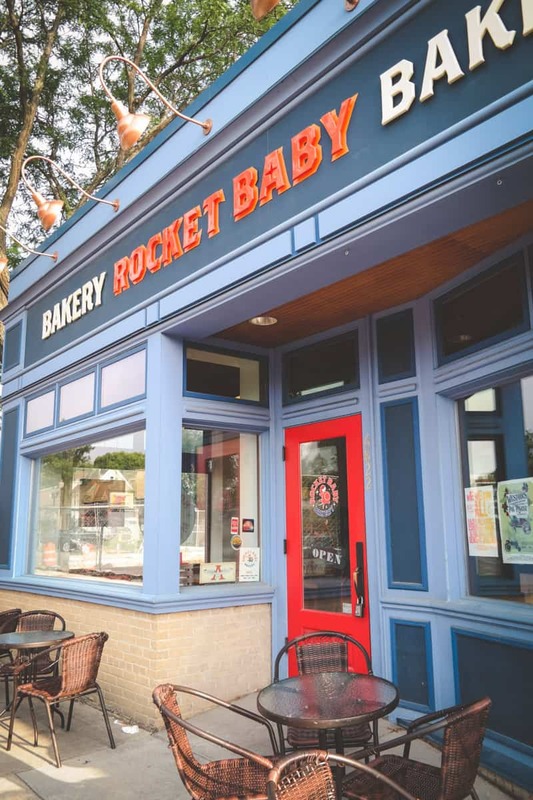 Rocket Baby Bakery – This is where I go when I want a good croissant or French macarons! They have amazing croissants and bread. 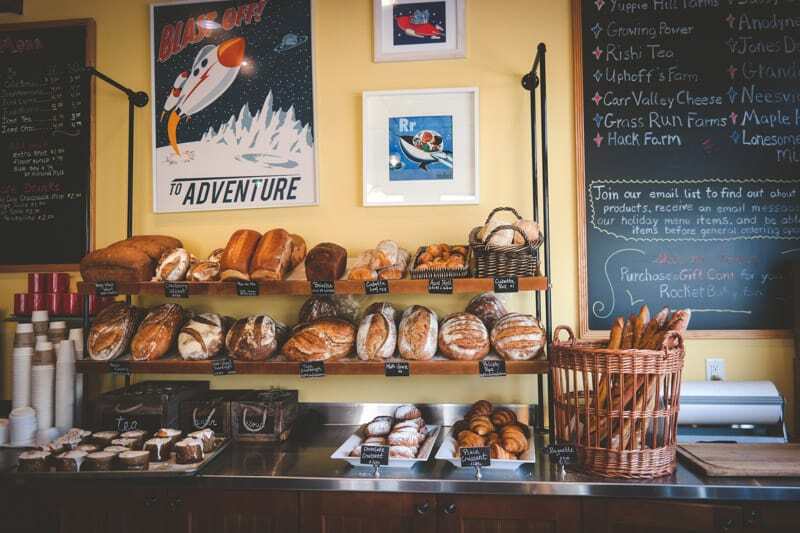 This cafe is in Wauwatosa and has other locations, I mentioned them in my guide for what to do in Wauwatosa with a baby. There have been many occasions where my husband and I will pack up baby Ben and go here for breakfast. You can sit on their patio if the weather is nice, or if baby is sleeping, you can send one person in to pick up some baked goods and eat/walk/push the stroller around the cute neighborhood. 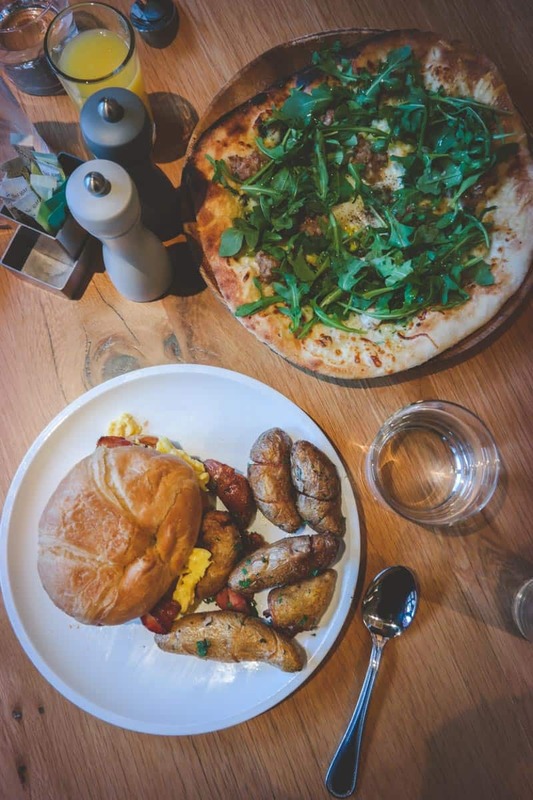 Story Hill BKC – This brunch spot has really good espresso drinks and cocktails, as well as local farm-to-table inspired food. Here’s what I order: Burger on the hill. It’s one big and delicious brunch burger. Story Hill fills up pretty quickly. There have been multiple times we’ve eaten at the bar, and it’s really a great spot wherever you’re sitting. If you’re on the bar side you can see them preparing the food which is something I always love seeing. Tre Rivali– I’m hesitant putting this on the list because I love it so much lol. It’s one of those spots that seems to hasn’t been discovered by the crowds for brunch, so if you’re looking for a table, chances are they’ll have a spot for you. 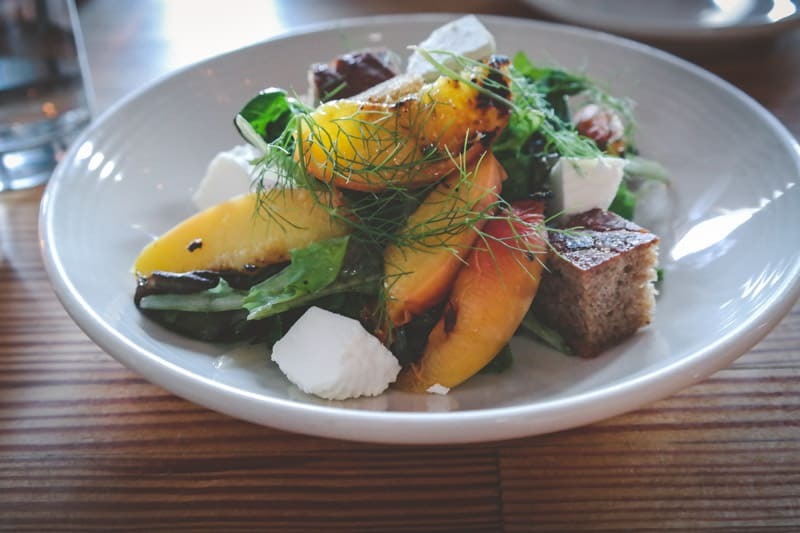 Tre Rivali is located inside the Journeyman Hotel – we discovered this gem when I shared a guide for a relaxing weekend in Milwaukee. It’s a little more on the upscale side with tablecloths (not ‘diner’ like like some places). Here’s what I order: their Wisconsin cheese plate is just a must, their pull apart monkey bread is soooo good, and their breakfast pizza is a favorite. I also love their breakfast sandwich – their breakfast potatoes are sooo yummy! AJ Bombers – They have fantastic burgers that are huge and mouthwateringly delicious, it’s a Milwaukee staple that you just have to go to. They have peanuts you can snack on, it’s one of those ‘ok to put shells on the floor’ type places. Here’s what I order: the ‘shroom burger – there’s a cheese stuffed fried portabella on top of a burger, it’s crazy, it’s delicious. Balzac – A wine bar that serves small plates, one of my all favorite places, the ‘atmosphere’ is fantastic and the food is so incredible (Here’s what I order: get the Sac Mac, I’ve even tried to re-create the dish because I love it so much with my Blue Cheese Bechamel Mac n Cheese). I posted this pic on insta of a typical spread- makes me want to eat on their patio in the summer! Brown Bottle – serving old world pub fare (aka – German food!) This place is super cool, we’ve eaten dinner here several times, they have a really expansive beer offering and it was one stop on a walking food tour we did which is covered in this how to see and tour Milwaukee post. Bavette La Boucherie – A restaurant and butcher shop. Their sandwiches are insanely delicious, their meats are phenomenal. Here’s what I order: the cheese and charcuterie plate, and their Cuban sandwich (my husband LOVES Cuban sandwiches and theirs was one of the best he’s had in Milwaukee). Bucchus – Upscale fancy and incredibly delicious. Definitely worth dressing up and the expense if you’re looking for Italian, French, seafood and more. Splurge and get their Chef’s Menu. We did this for my 30th birthday and it’s one of the most memorable meals of my life. Also, my sister got me hooked on their spinach salad. Here’s what I order: the spinach salad, it’s a salad with a poached egg, house-cured pork belly lardons, grainy mustard on top of a bed of spinach. It sounds simple, but it’s incredible. I make a poor mans version of this salad in my spinach salad with soft boiled eggs, bacon, and a mustard vinaigrette – it’s a salad I make for others the most. Capri Di Nuovo – Milwaukee pizza!! A little drive out of the city – it’s just at the edge of Milwaukee and West Allis, but the garlic bread that will make it worth the trip…it’s dipped in butter (submerged in butter)! They have Milwaukee style pizza, this is where we get our pizza delivered from. Company Brewing – This place is in Riverwest, we really liked their overall menu variation, beer selection, and the fries are legit! Crafty Cow – Burgers and more burgers. Honestly though, beyond the burgers, their apps are insane. Here’s what I order: their poutine fries are amazing, as are their wings. Crazy Water – this place is super small space wise, but manages to pull off amazing seasonal dishes with big flavors. Everything I’ve had here has been a winner. 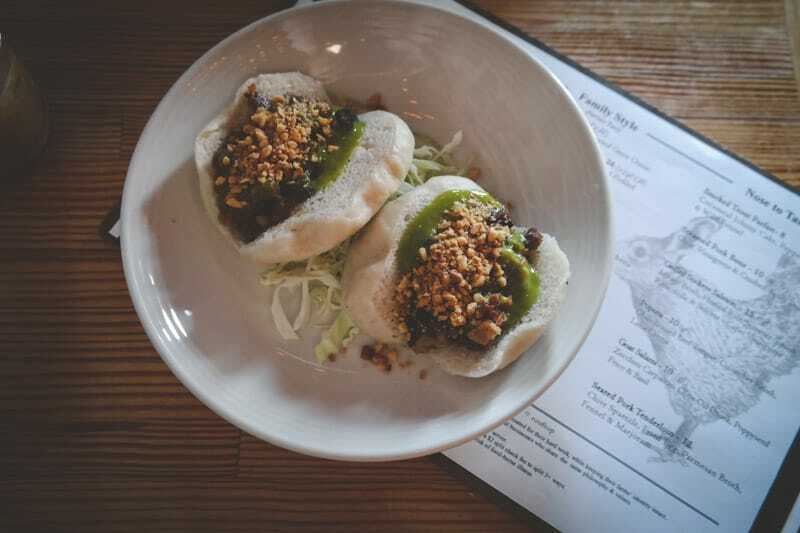 DanDan – Modern American-Chinese twists on street food. We went when it first opened and instantly fell in love with the unique menu. We’ve been back several times, and now it’s so busy you definitely need a reservation if you want a table. Save room for the desserts! Easy Tyger – Described as an Asian Gastro Pub, but I’d describe it as modernized meat street food served in a restaurant. They have specials, I once had this Jamaican jerk chicken over plantains and coconut rice that was like nothing I’d ever had before. Fixture Pizza Pub – Super unique pizza flavors that work. Grab a group and go here to try different pizzas. It’s from this place that I learned to put cream cheese on a pizza (like in this jalapeno enchilada pizza). Here’s what I order: the Walkers Pint is basically a taco pizza. Taco pizza? yup, it’s a thing. I’d never had anything like it and I was hooked, definitely need to recreate this and make it at home. Hot Head Chicken– Best fried chicken in Milwaukee. They share a kitchen with the Crafty Cow. They have this spicy fried chicken that’s really hot, but also so flavorful. If you like spicy food, please do yourself a favor and go get the spicy fried chicken. Joey Gerard’s Supper Club – A classic Wisconsin Supper Club. Going to a supper club is definitely an experience, and a must if you’re ever passing through Wisconsin. They serve the best steaks ever. This is where my green goddess dip recipe idea is from. Goodkind – Meat forward farm to fork restaurant with a really extensive drinks offering. I’ve heard they have a secret vegetarian menu that one can request, definitely want to check that out. La Merenda – Small plates, tapas restaurant. I’ve been here many times, everyone loves it and for good reason, everything is delicious. They are very local focused and the food always tastes amazing. Maxies – Serving southern food and oysters…AND…they just so happen to have locations in Ithaca (where I went to grad school) and here in Milwaukee (where I now live) and I’ve been to both! How cool is that? Movida – This place! They’re relatively new and they serve Spanish food and sangria. Their sangria is so darn good it’s not even funny. Nick jokes that he’s only seen me a little drunk after we go here. They serve their sangria by the bottle and say ‘if you don’t finish the bottle you can take it home’ … want to guess how many times I’ve taken any home? lol, you’d be right if you guessed zero. Their food is really tasty too. Here’s what I order: their sangria, their paella, and any of their apps…basically everything lol…but the sangria! Odd Duck – Small plates withe an ever changing, local inspired menu. We went here the first week it opened and again a few months after it opened years ago and were just ‘meh’ about it. But we kept seeing crazy reviews. One night last month we had a babysitter and Nick and I decided to go here for a date night. Opinion totally changed. It was sooo good, it made it on my favorites list! I got an order of beet pickled eggs and loved them so much I got another order to go lol. Everything is really good, I will note that this place is a little on the pricey side. Red Lion Pub – British pub food done right on this side of the pond. Love their fish and chips. Riviera Maya – Authentic Mexican cuisine, they have delicious food and strong margaritas. Nick and I had our very first date at Riviera Maya, it holds a special place in my heart but it’s also the place I want to go for tortilla soup or good chips and salsa and margaritas. 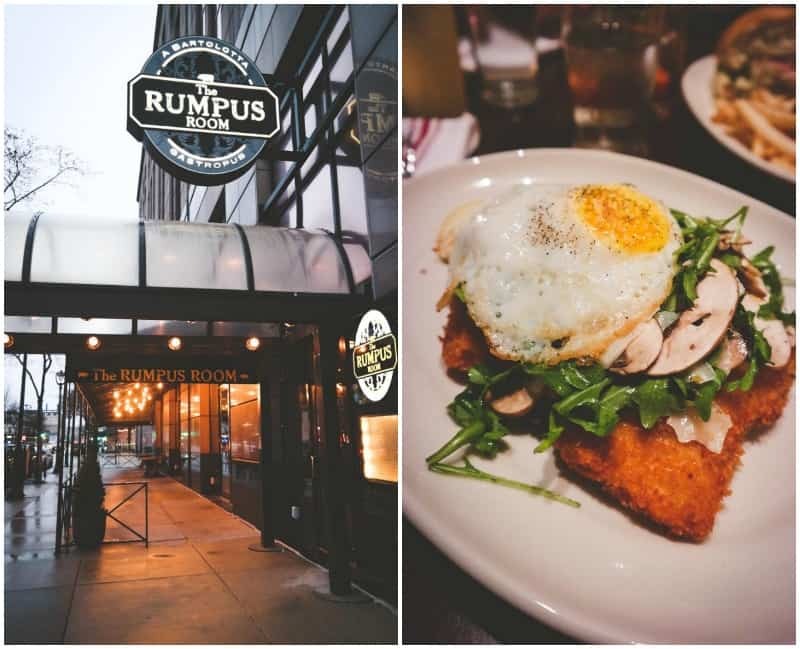 Rumpus Room – The Rumpus Room is across the street from the Center for Performing Arts theater, so anytime we go to a show, this is where we go to eat beforehand. Here’s what I order: this postthe schnitzle is perfection. It comes with a fried egg on top (I was preggo when I took the picture below, so I had to have them ‘ruin’ the egg, but it was still legit). I talked about going here when we did a little staycation/babymoon in . Tenutas – Great Italian food! Transfer – Amazing pizzas of all kinds that are super good. My mother-in-law’s favorite pizza – version we made here – is based on a pizza from Transfer, the Roasted Potato Chicken which is garlic cream sauce, cheese with chicken breast, and pan fried potatoes – yum! Wy’east – Woodfired pizza amazingness located in Milwaukee – right on the Tosa border. Lately I’ve been sending Nick to get pick up from here because their pizzas are so good, if they ever have a special with honey on their pizzas, get it! Van Guard – specializing in house-made sausages. Very unique sausage combinations and the menu offers drink pairing suggestions. This is a very cool spot with delicious sausages. Here’s what I order: the Jamaican lamb currywurst – (no bun) Jamiacan Curry / Carmelized Onion / Scotch Bonnet Jam / Served over Fries or the Thai Breaker – pork/lemongrass/ginger/cilantro with Peanut Sauce / Carrot / Lettuce / Crunchy Bits. Blu Milwaukee – Located in the Pfister hotel, this bar has incredible Milwaukee views. It’s a little fancier so it’s a great ‘adult’ place to go and get a cocktail. 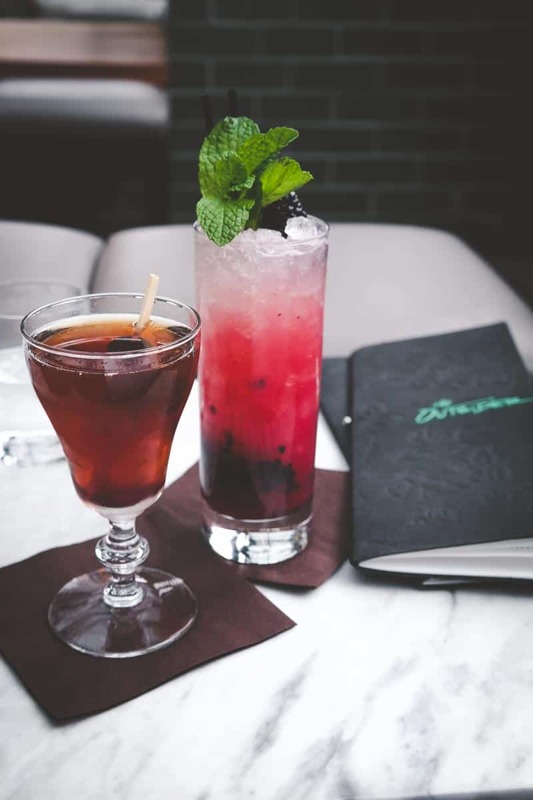 Bryants Cocktail Lounge – This place is a must visit. It’s like taking a step back in time, and it really is, because it’s Milwaukee’s oldest cocktail lounge. You tell the server what kind of drink you’re feeling like, what flavors or things you like and they concoct a drink and bring it to you. I’m a sucker for their old timey boozy ice cream drinks. Boone & Crockett – Old meets new and cool vibe, this is a great spot for drinks in Bayview. They have a great patio for warmer weather and a taco truck now! I heard they were moving, so I’ll update that info when I hear about it. 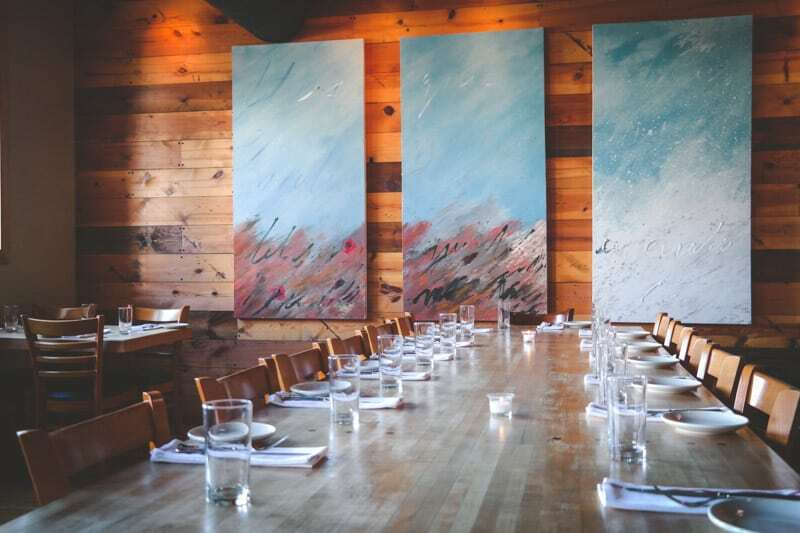 Branded – Located inside the Iron Horse Hotel. I love this bar, it’s right inside the Iron Horse Hotel and always smells nice (lol but true). The Outsider – Rooftop bar, located on the top of the Journeyman hotel. Their cocktails are so unique and always spot on, and they have a stellar snacks/bites menu. The Milwaukee views are incredible. I’d love to hear from you! Did your favorites make the list? Let me know in the comments below! 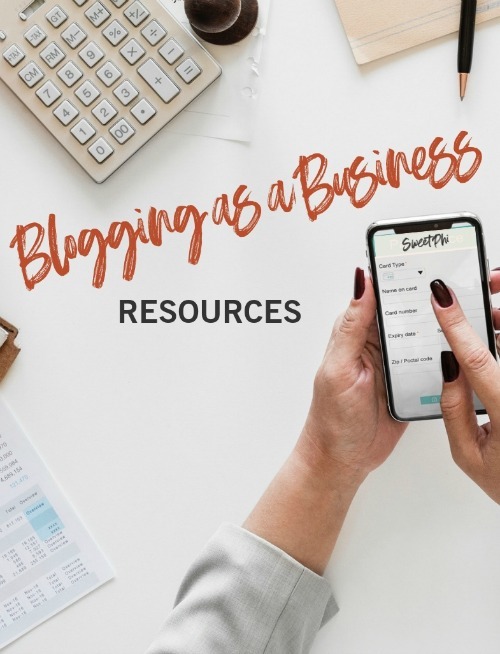 Great info! Can’t wait to visit and try these places! Thanks for commenting. I think you’ll love these places.